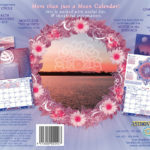 All orders are now for the 2019 Moon Calendar. The orders are for the 2019 Calendar. 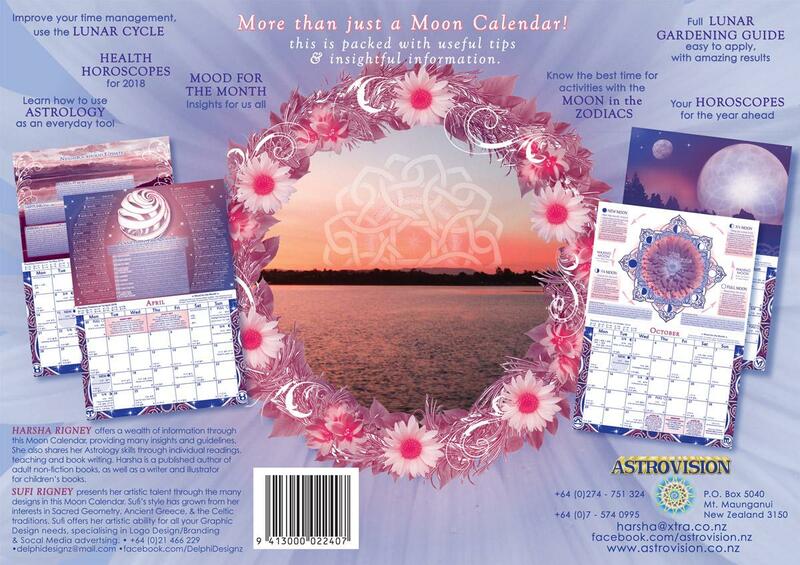 More than just a Moon Calendar, this is packed with useful tips and insightful information. 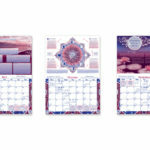 This Calendar provides you with guidelines on Gardening with the Moon with a comprehensive Lunar Gardening Guide which is easy to apply, giving you amazing results while reducing your workload. The Horoscopes for the Year and Health tips offer insights for your personal journey, accompanied by the Seasonal Forecast which outlines the 3 monthly intervals for us all. 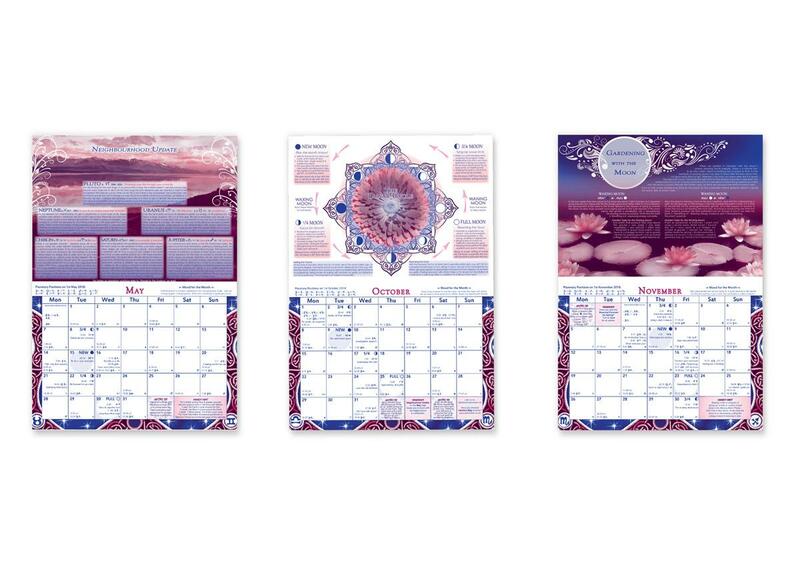 The Mood for the Month indicates the current lessons and opportunities we have for each month. Working with the Lunar Cycle helps you to improve your time management by scheduling your month into greater efficiency and productivity. All of this is presented in an easy-to-use format, suitable for beginners to Astrology right through to those with advanced knowledge. Produced by a professional Astrologer with over 30 years experience in this field and illustrated by an awarded artist. 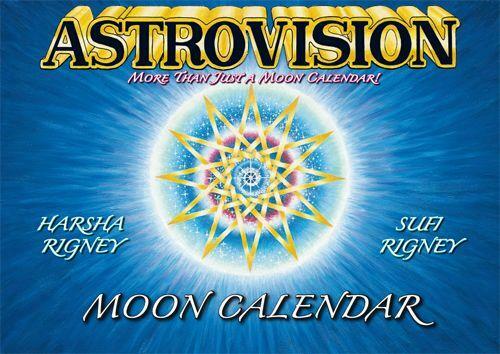 Harsha and Sufi have been producing the Astrovision Moon Calendar since 1997.